Two weeks ago today, once again my world changed in ways I cannot describe. The happiness, the feeling of completeness and the utter joy that enveloped me was just indescribable. And you think that you have shared out all of the love you have with the people already in your life… Not the case! 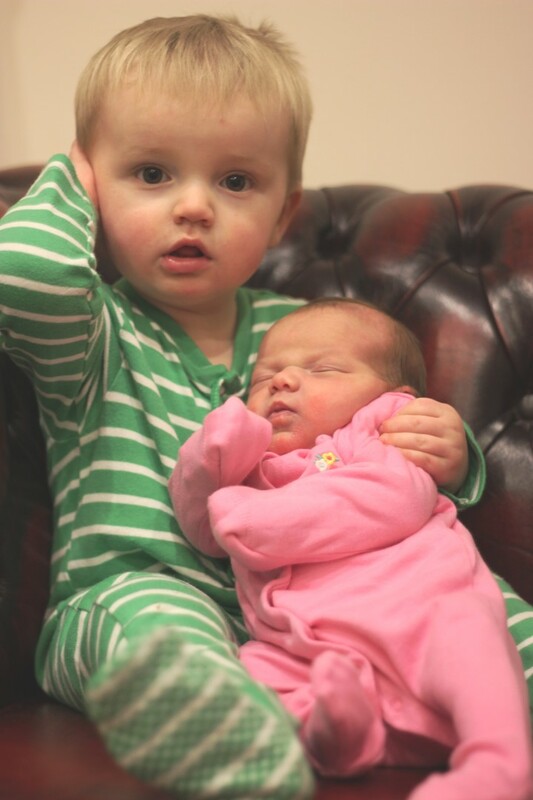 On Tuesday 12th January at 11.27am, we welcomed our second child Victoria Grace, our first daughter and sister to brother Joseph, into the world. A tiny bundle of joy who is very content but knows her own mind, Victoria has already brought so much joy to us. Joseph has taken to being a big brother like a duck to water (so far!!) reassigning his toys to Victoria, passing mummy new nappies and generally just making sure that Victoria is always with us. The only time he forgets about her is when he is playing with his friends! And for me, it is true that it’s easier second time around. You don’t have all of the learning, worry and newness which has provided me with the opportunity to enjoy things a little more… Yes it is still tough, the night time feeds and lack of sleep are really hard (I’m currently surviving on around 4 hours a night but I keep telling myself this is for such a short period of time I’m to enjoy it before it goes!) but having a supportive network, a positive attitude and being organised helps an awful lot! Every moment I savour as every day brings growth and new developments that resign things to history really quickly. And because of this, the camera hasn’t really been away from my hands and has found a new, permanent home on the kitchen table! 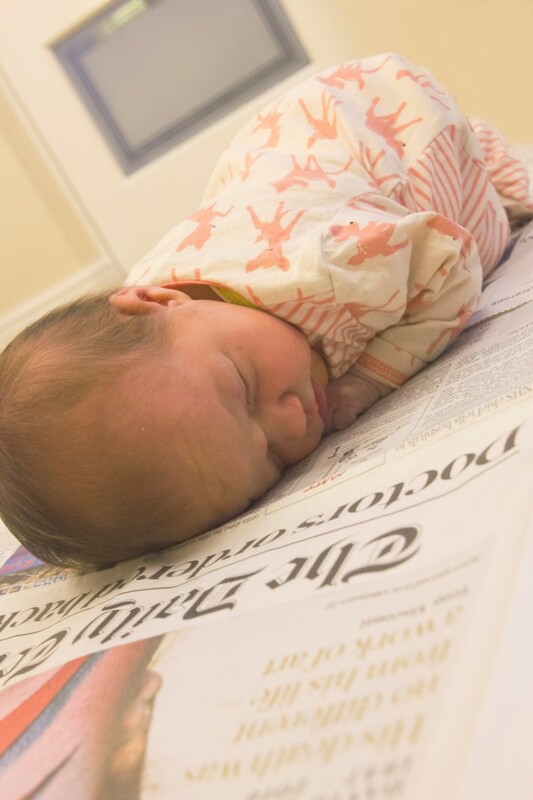 It has totally reinforced the importance of capturing every moment that passes by – I can’t believe how much Victoria has changed in just 14 days!! I am so glad that I have been documenting this along the way as I know we won’t get that time back. It’s important that we therefore celebrate it! What the last two weeks has done is to totally reinforce why I set up my photography business in the first place (why not check out my story for more information). I am so passionate about recording memories for other people that can last for generations. I love taking photographs that make people smile. I love it when people say ‘Oh yes do you remember when…’ And I love it when my clients tell me how great they found not only the end product but the experience too. 100% of my customers to date say I have inspired them to take more photographs as well as to display more photographs which makes me one happy lady! So in celebration of my beautiful baby Victoria Grace and the bursting of love that continues to envelope me, I am setting up a month long set of promotions for Inspired By Joseph that will take Victoria right through to her six week birthday! Each Tuesday for the next four weeks I will bring a new promotion to you in the hope that I can make more people feel exactly how I have described my feedback above! Please check out my Facebook page or Special Offers page on my website each week to see if there is an offer that may suit you, or perhaps a friend or loved one. There’s also my regular collections that are still popular. As you can imagine I’ve quite a few bookings already in place for the upcoming months so contact me to get your preferred date as soon as you can. I’d love to help! Previous PostPrevious Oldham photography – I love photographing Children! Next PostNext Take 5 minutes to read – you MUST do this!